The mighty Umkomaas is truly a beautiful and special place that we have the luxury of riding and exploring throughout the year. Many riders have only heard stories or seen these views on TV. 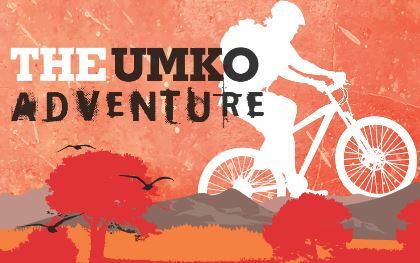 Our idea for this Stage Race is to take riders on a route never ridden before into some unseen areas of the Umkomaas where we can explore its true beauty with some adventure thrown in for good measure! Are you up for the challenge? This event will cater for varied ability levels and will feature some unique challenges and spectacular scenery for its participants. A race village will be erected at the Richmond Country Club and Day 1 and Day 2 will start and finish at the Club. Day one finds the cyclists leaving the Richmond Country Club and heading onto plantation roads, thus allowing the field to start spreading out before descending steeply into the upper reaches of the Nkobeni Valley, a tributary of the mighty Umkomaas. On the decent the scenery changes from one of eucalyptus plantations to single tracking through paper bark acacia. The descent continues through sugar cane fields and alongside the Nkobeni River. The track will take you under a bridge on the main R56 and then the hard work begins!! The climb, on jeep track through acacia woodland, is approximately 3kms. After the initial climb the track continues on an undulating contour as you slowly make your way up the valley. Depending on how lucky you are you have a chance of bumping into zebra, blue wildebeest, nyala or the ever elusive bushbuck, a few of the many species found in the Umkomaas Valley. Once you have exited the valley you will continue on a jeep tracks through sugar cane and timber plantations back to the Country Club to end your +/- 60 km day one. There will be three strategically placed water tables on route. Day two takes the riders first on a small tour through the forests before entering into single track which will follow the banks of the Illovo River for approximately 10kms. Jeep track will take the riders to the highest points in our district giving you magnificent views of the surrounding farmlands and in the distance the Umkomaas valley. After this climb the track takes the riders through areas of incredible beauty and in and out of timber plantations as it winds its way around the south eastern section of Richmond. En route there will be a “bridge” to cross on one of the many dams in the area, making it a great spectator point. The route follows single track and jeep track and after 40kms you will find yourself back at the Richmond Country Club. There will be two water tables on this section. 1. Team Entry Package (Including Accommodation): R4700 (R2200 X 2 + plus R300 camping). Team Entries Entry Package Includes the following. · Race jacket and other goodies from our sponsors.